Queensborough lies south of an elevated section of B.C. Highway 91A. From that perspective, it looks like a jumble of townhomes built on leftover land. Viewed more closely, the neighbourhood is pretty in spots, with dramatic waterfront views of mainland New West. My co-tourist Fred Armstrong was pleased with his photos of river and clouds. This is a fragment of the City of New Westminster located on Lulu Island, with a long industrial history that has left a working railroad running down its main street. With a rush of residential construction in the past two decades, the population has increased to over 7,000. 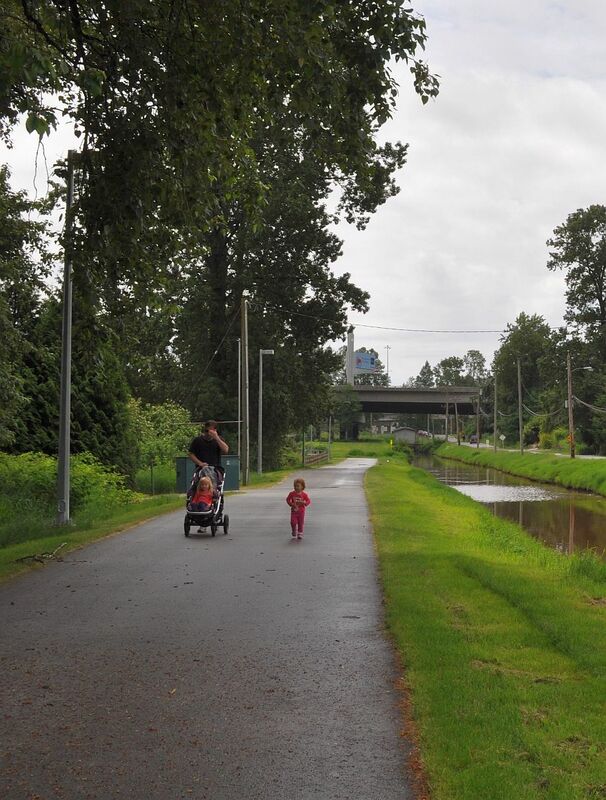 Unfortunately, in a city that boasts two of the finest urban villages in the Metro Vancouver region, the planners, politicians and developers appear to have left no space in Queensborough for a vibrant core. A major issue here is the City’s past decision to permit a sub-regional mall, all chain stores and restaurants, on the north side of the highway. The direct connection from Queensborough proper to the mall is not an inviting walk, although there is an indirect multi-use path. In any case, the car-accessible Queensborough Landing mall is positioned to serve many of the retail needs of neighbourhood residents. A detail from the new Queensborough plan. The yellow blocks are small-lot residential; “RL” is low density, while “RM” is residential medium density; “MS” is main street commercial. The uses on the north side of Highway 91A are casino, mall and industrial. 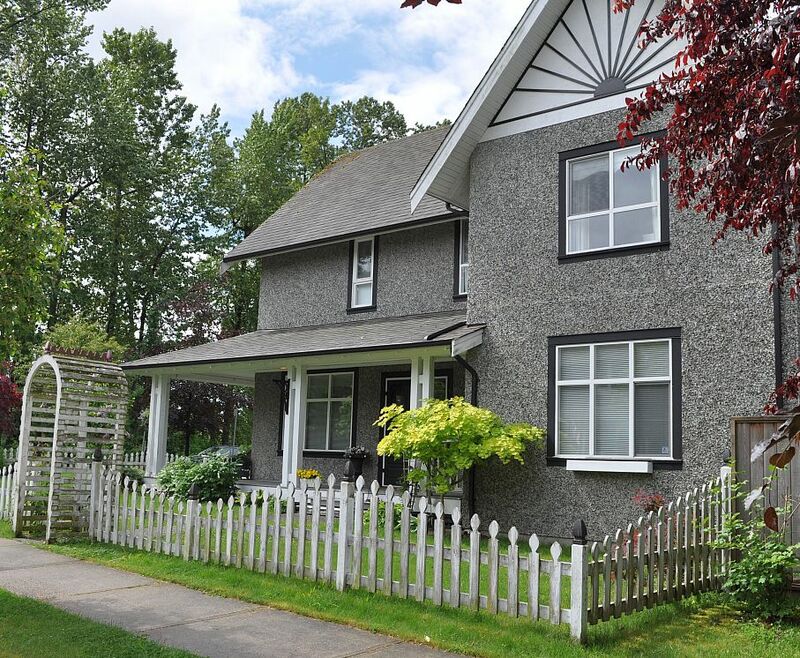 Decrees from Fraseropolis aside, Queensborough’s location and character make it a desirable place to live within Metro Vancouver. According to the neighbourhood plan, incomes here are much higher than in the mainland parts of New West. 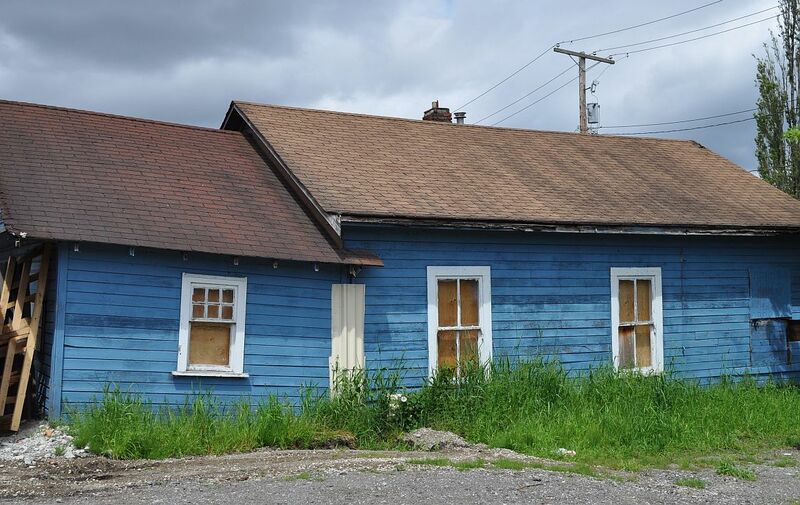 The plan notes a history of “higgledy-piggledy” development stretching back to the early 1900s. In future, development will be tightly controlled, down to the tinting on the shopfront windows along the modest main street. Beverly Grieve of the City of New Westminster provided the following comment via email. 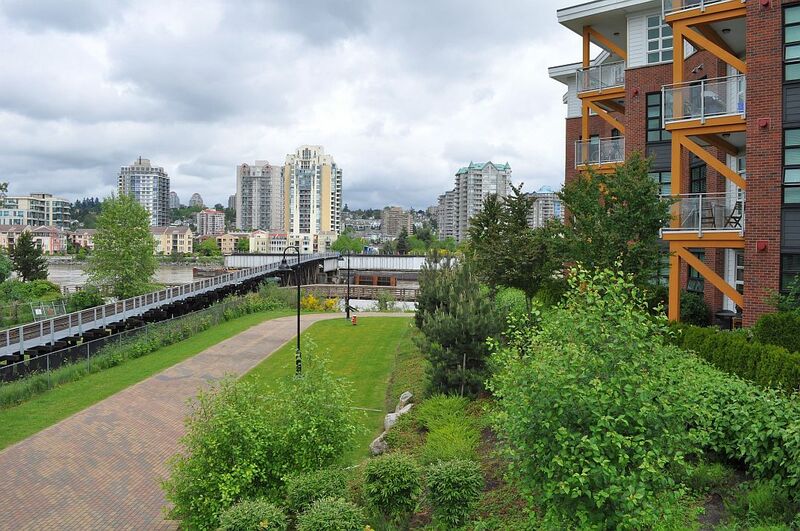 The Queensborough Community Plan is all about creating a vibrant, walkable urban community with a range of community services and housing types. Given that the neighbourhood is fairly isolated from the rest of the city by the River and congestion on the Queensborough Bridge, this goal is particularly poignant for Queensborough. The vision and policies in the Plan directly state that there is a community heart centred at Howes Street and Ewen Avenue, which will feature mixed -use commercial and residential development with local-serving shops and provide an attractive and welcoming arrival point into Queensborough. As well, the urban node at the east end of Queensborough will provide a secondary gathering place with additional local-serving shops particularly for the residents of Port Royal. This new node is in the early stages of development; a plan for this new local retail area is being created. It is expected that by 2041 the demand for commercial space, based on the forecasted population growth, will be in excess of what is permitted in the Plan. When creating the Plan, the objective was to ensure that the two key local commercial notes are developed first. If, for example, commercial development was still permitted along the length of Ewen Avenue (as was presented in the previous plan), patches of commercial would develop rather than strong nodes. As the need for additional commercial space is apparent, there can be a public process to identify where the new commercial should be located. This is a great example of why an Official Community Plan should be monitored and reviewed/updated regularly. In the Plan development process, the residents told City staff that they consider the new Queensborough Community Centre, the park where it is located and the adjacent elementary and middle school, all located directly adjacent to Howes and Ewen, as an essential part of the “heart” of the community. 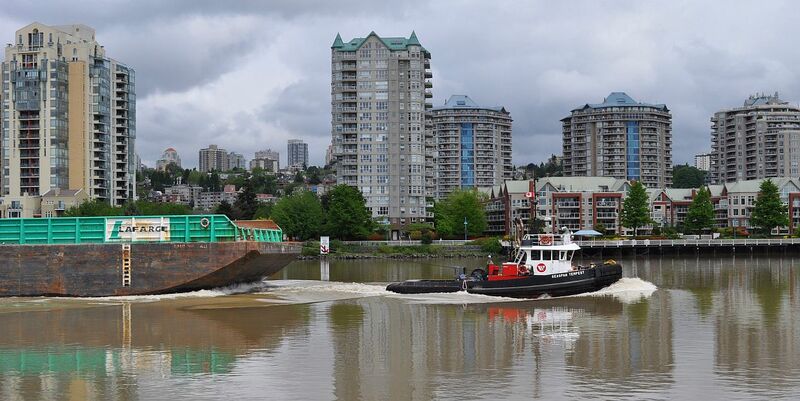 We encourage the writer to visit this area of Queensborough as it has no comparison in Metro Vancouver. The park, community centre and schools serve all generations with the functions in the new community centre being identified by the community for the community. The whole community will be connected with an enhanced network of trails and on-street greenways that take advantage of the existing grid-network. 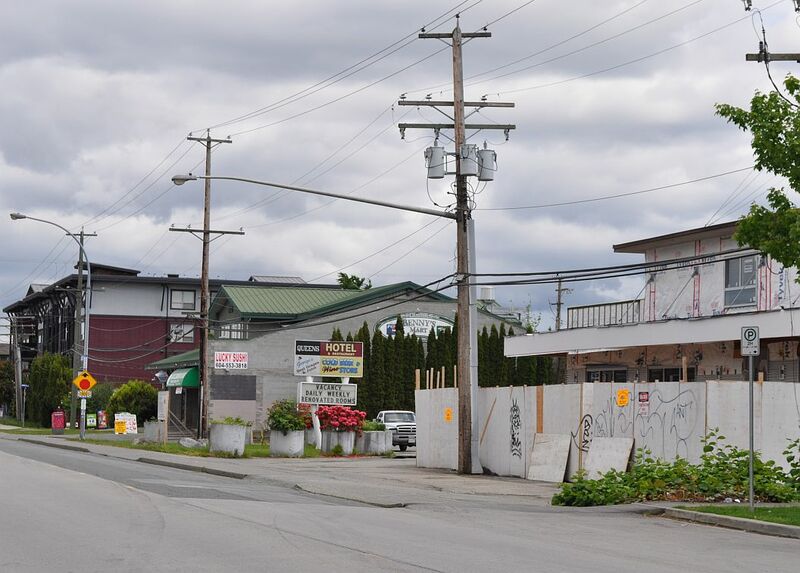 Upgrades along the length of Ewen Avenue are currently underway to support walkability/bikabilty and create an attractive and safe main street in Queensborough. 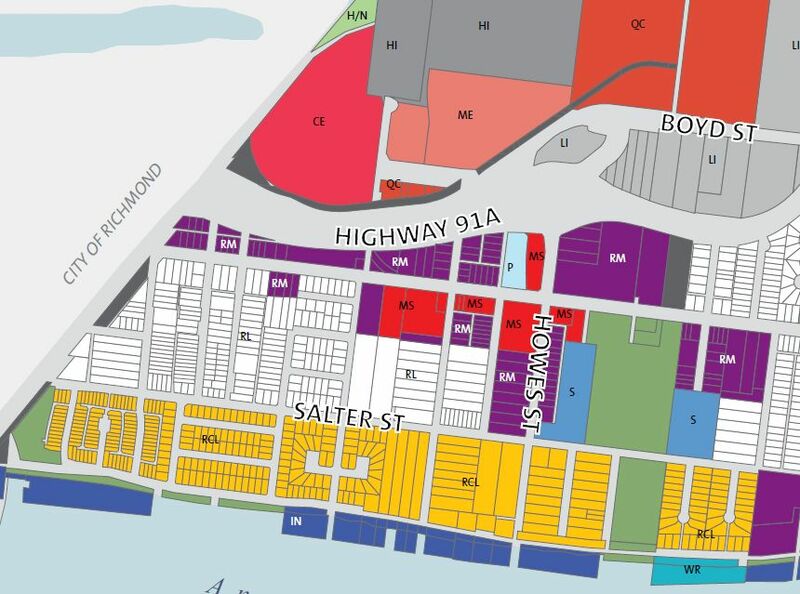 Improved connections to Queensborough Landing are also called for in the Plan (both along Duncan/Boyd Streets and along Howes Street), recognizing that residents also use these shops and services. The Plan provides the policy framework which locates the commercial uses and residential density together and directs City improvements to the walking and biking network, and the market determines when there is enough population to support businesses locating in Queensborough. As in all planning processes, the City creates the conditions to foster the development of activities such a locally serving commercial, but it is up to business to respond to those opportunities as market demand indicates.